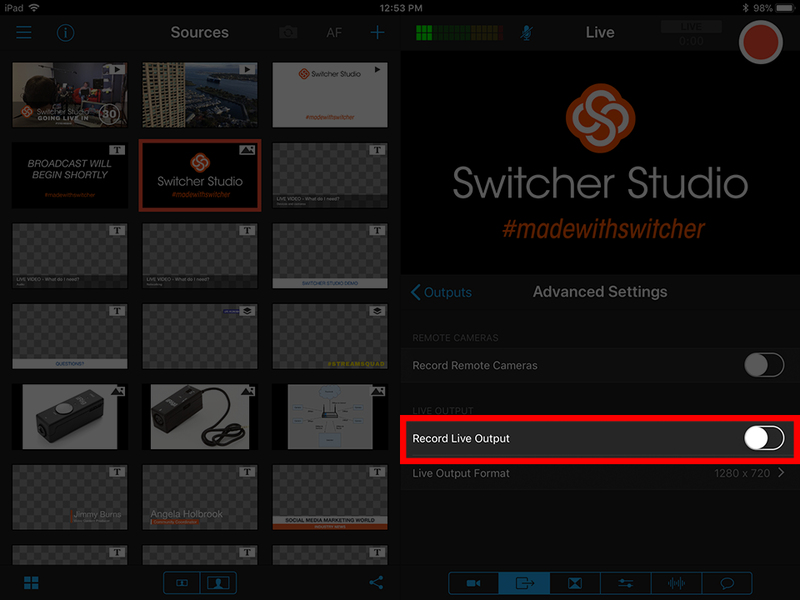 With Switcher Studio, you can broadcast a live production to a streaming video platform for others to watch. 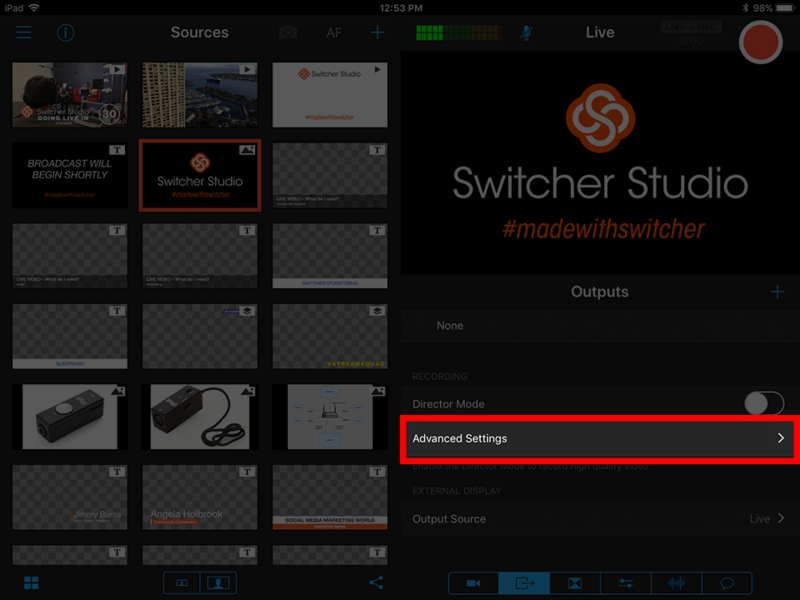 You also have the ability to make edits on the fly while recording your video stream to the main switching device. 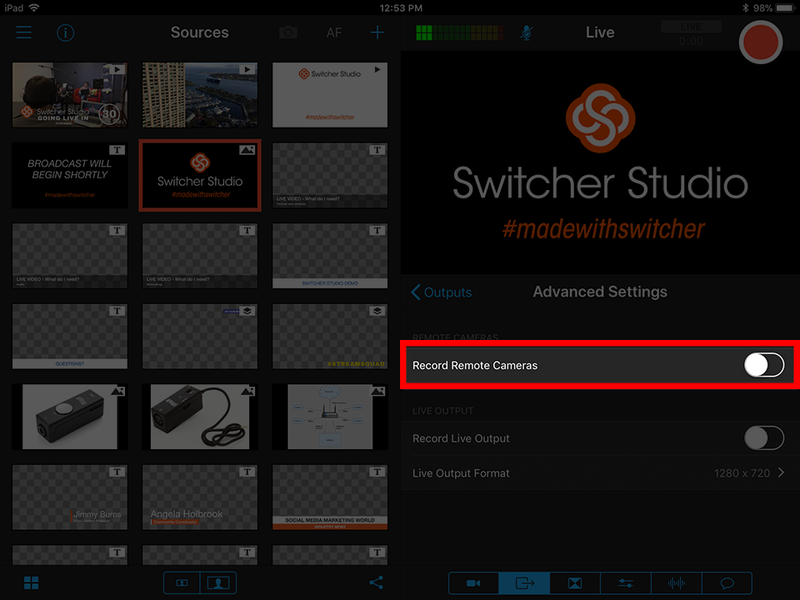 In addition, you can go a step further with Switcher Studio by triggering local recordings on each camera source. With this feature activated, each connected device will capture an HD version of the video output from its respective angle and store it locally for future editing. To enable/ disable remote camera recording, from the outputs tab, scroll down and tap on "Advanced Settings". You will see the option to record remote cameras. You can toggle this on if you want those full quality recordings for later, or you can disable it to free up space on those remote devices. If storage space is an issue, and you are only concerned with the live video, you can also disable the Live Output recording meaning the devices are only being used for streaming and no video will be saved locally. If you are looking to stream at a lower quality and record at the highest possible quality, check out our Director Mode tutorial.